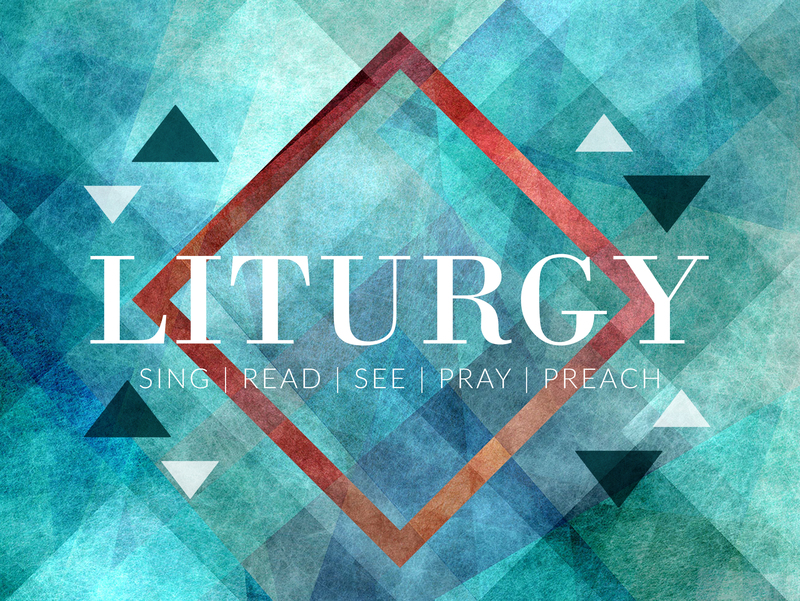 We’re on the downward slope and approaching the end of our series on Liturgy. Just to recap where we’ve been thus far, we began with looking at the influence of the Word of God in the context of our worship – specifically our singing of hymns, psalms, and spiritual songs. Carrying on from there, we looked at the power of reading God’s Word within our time of corporate worship and ended last week with a discussion on how we see God’s Word displayed through the ordinances of believer’s baptism and communion. Moving onward, this morning’s discussion is all centered around prayer. In addition to our worship, encouragement that comes by being united within the body of Christ with other believers, among other things – prayer is a powerful part of any Christian’s toolkit. And, as with everything else we’ve discussed in this series, prayer too can and should be rooted in the Word of God. In looking to our Savior’s example, Jesus was passionate about the Word of God, and He most certainly used it during His own times in prayer. He knew the power of the Word of God in intercession. When He was tempted by the devil in the wilderness, He quoted the Word of God. Why did the devil leave? It was because of the power of the Word of God. Jesus knew that speaking the Word of God would bring spiritual breakthrough in the most difficult times of spiritual attack. I’m reminded of a story out of Baghdad, Iraq. Army Private First Class Brendan Schweigart was working on a broken-down tank when he was shot by an enemy sniper. The bullet went through his left arm and his chest, stopping in the Bible tucked in his front pocket. If the Bible had not stopped the bullet, it would have most likely bounced off his body armor and re-enter his chest. Although wounded, no internal organs were hit, and Schweigart survived. The bullet, still wedged within the pages of his Bible, served as a miraculous reminder of the amazing power and protection of the Word of God. God’s Word will protect our lives when in spiritual battle. It can bring out hope in the darkest of situations. It can save us from those fiery darts from the enemy. I wonder how many of us carry our Bibles into battle like Army Private Schweigart? We should be reminded that Jesus intercedes for believers. This is a classical, yet often neglected part of Christian theology. Intercessory prayer was a part of Christ’s earthly ministry, and the Scriptures teach how he intercedes for us from the throne of heaven. 25 Therefore, He is always able to save those who come to God through Him, since He always lives to intercede for them. 1My little children, I am writing you these things so that you may not sin. But if anyone does sin, we have an advocate with the Father—Jesus Christ the Righteous One. In regard to our own prayer life, utilizing the Word of God is a powerful thing. We tell God what He says in his Word. Anyone can pray like this – young and old, beginners and the experienced. God knows everything, but He is deeply touched when we pray the truths in His heart back to Him. God loves it when we show our agreement with Him through His Word. We read His Word and let the Holy Spirit speak to us through it. Then we pray it back to Him as the Holy Spirit leads us. In doing all of this, we confirm that His Words are Spirit and Truth. When we pray God’s Word, it marks us on the inside, changes us, and builds us up. We unite with God’s heart and will in a most amazing way. We are in a serious battle throughout the world over the authority of the Bible. There is an ever-increasing decline in the belief that we can know absolute truth and right from wrong. This is but one reason why we must uphold Scripture as the absolute, authoritative truth in our prayers. Jesus prayed from the foundation of absolute truth. We must also. As we pray God’s Word out loud, our faith grows and we are equipped for every good work. We must emphasize the Bible in our times of prayer together and everywhere we go. In doing this, we combat the lies of the enemy and spiritually strengthen one another’s ability to abide in God’s Word. We choose to obey God’s Word as we pray it. We feed our hearts on it. We learn to talk to God about His Word and then we listen. We internalize it, and we say it back to Him. Praying God’s Word refreshes us internally and enables us to live radically for Him long-term, and we should learn to cultivate a spirit of radical devotion to God’s Word as our everyday lifestyle. As we’ve been reading from many of the Psalms throughout our times together, we should notice how David saw himself and others through the eyes of God as he prayed. He understood the love of God even when facing difficulty because His attitude was right. Praying God’s Word is a positive way to live. Now that we understand the importance and role of God’s Word in our prayer life, I’d like to leave you with a few practical ways that you can implement in praying God’s Word. In looking at the church over the course of history, we should note that the early church prayed Scripture. For example, the prayer found in Acts 4:24-30 quotes Psalm 2. In the Old Testament, prayers like Ezra’s prayer in Nehemiah 9:6-37 are rehearsals of biblical history and biblical texts. As we touched on earlier, praying the Word means reading (or reciting) Scripture in a spirit of prayer and letting the meaning of the verses become our prayer and inspire our thoughts as we approach the throne of grace. Finally, we should understand that there are numerous ways to pray the Word of God, not just one. Praying the Word can happen in the context of individual or corporate devotion. You can pause after each phrase, each sentence, each paragraph, or each chapter. Through prayer, we have seen lives changed, hearts transformed, and entire communities impacted as believers align themselves with the will of God as revealed through His Word. Prayer is powerful, and it is one way God has invited us to join Him in his work. God invites us to intimately connect with Him through prayer, and what better way to do that than to use His own Word. And, as you pray Scripture, you’ll find new ways to talk to God too. God knows your heart, and He knows your desire to follow Him as we traverse a dark and sin-filled world. Trust that as you faithfully commit to pray. He will be faithful in answering your prayers according to His perfect will. 26 In the same way the Spirit also joins to help in our weakness, because we do not know what to pray for as we should, but the Spirit Himself intercedes for us with unspoken groanings. 27 And He who searches the hearts knows the Spirit’s mind-set, because He intercedes for the saints according to the will of God.